Acting West Jakarta Mayor (Plh), M. Zen said, his side is still looking an available land for Jembatan Besi Urban Village office building.
" Hopefully the land owners can accept our appraisal price offer since it is for common interest"
"We are still looking a significant land in Jembatan Besi area to build an urban village office. I hope we can realize it this year," he stated, Sunday (9/9). 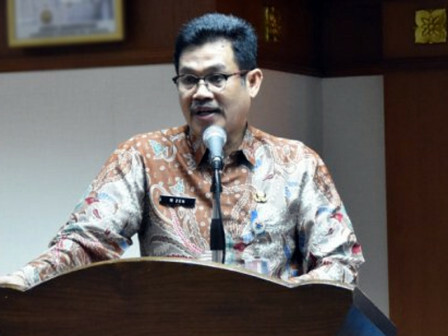 He explained, budget allocation for urban village office land procurement is Rp 40 billion. "Its budget is raised from R 25 billion into Rp 40 billion," he added. Meanwhile, Jembatan Besi Urban Village Head, Agus Mulyadi stated, his side will meet two land owners at RW 03 and RW 04 in the near future. Those lands have 700 meters and 1,000 meters wide. According to him, those two locations are quite appropriate for urban village office to be built since it is a strategic locations, legal, and flood-free land. "Hopefully the land owners can accept our appraisal price offer since it is for common interest," he mentioned.